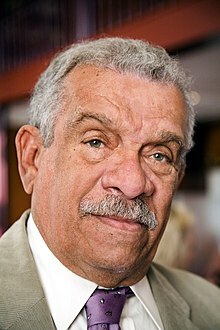 Derek Alton Walcott (born January 23, 1930 – March 17 2017) was a West Indian poet, playwright, writer and visual artist who wrote mainly in English. Born in Castries, St. Lucia, he won the Nobel Prize for Literature in 1992. I come from a place that likes grandeur; it likes large gestures; it is not inhibited by flourish; it is a rhetorical society; it is a society of physical performance; it is a society of style. Good science and good art are always about a condition of awe … I don’t think there is any other function for the poet or the scientist in the human tribe but the astonishment of the soul. I never thought I would see the day when America (which is based on the idea of liberty, from which the world Liberal comes) would become so self-centered and hypocritical. I mean if democracy considers liberal to be a term of abuse, then we should be terrified. A liberal is someone who belives in liberty. And if it is wrong to be liberal, then the other side has to be facist. and either I'm nobody, or I'm a nation. and when that don't work, I study the stars. and waves of huge ferns are nodding to the sea's sound. unknown to the lizard stood measuring the trees. the barracks. So much to do still, all of it praise. This page was last edited on 19 October 2017, at 00:39.